A quick and easy way of visually displaying all the fonts installed in your system. FontCat just displays some example text displayed in the relevant font. 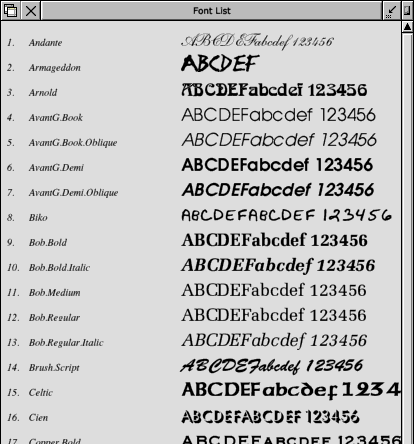 Registered users can edit the sample text and also print out the list of fonts via the standard RISC OS printer driver. Showing part of my font listing.